Home › Situation in Turkey › 3 Lawyers who are also Cumhuriyet Daily Executives are on Trial After 8 Months Pre-trial Detention. 3 Lawyers who are also Cumhuriyet Daily Executives are on Trial After 8 Months Pre-trial Detention. The former chair of Cumhuriyet Foundation, lawyer Akin Atalay and lawyers Mustafa Kemal Gungor and Bulent Utku who are the board members of the Foundation are on trial for first hearing with other arrestee 9 journalists in Istanbul 27th High Penal Court after 8 months pre-trial detention. 3 lawyers and journalists are being accused with helping terrorist organisation and promoting terrorism” with fabricated / manipulated evidences. 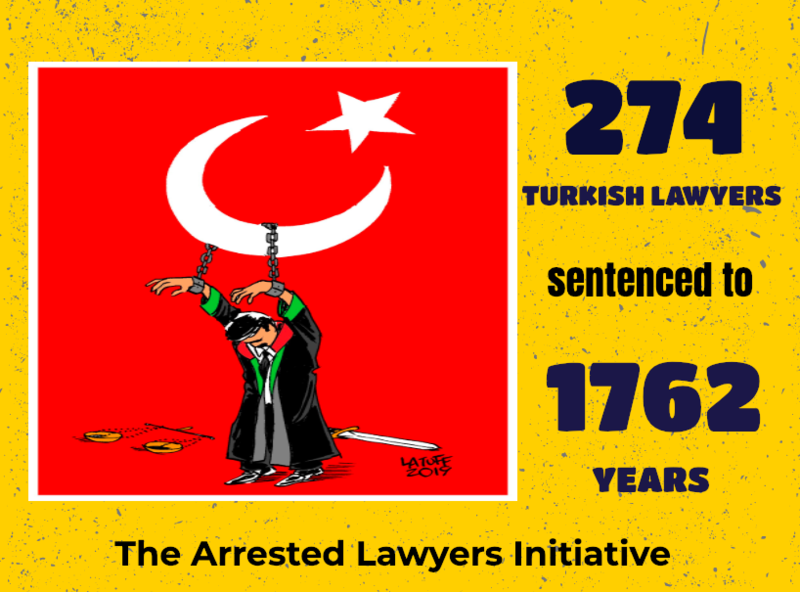 Turkish judiciary is under full control of Erdogan Regime and the most often accusation against lawyers, journalists and other dissidents is terrorism related offences. The first hearing session of the case will continue for 4 days and requests to release of arrested defendants will be decided on Thursday. ‹ Lawyer Gokmen Yesil was wounded due to brutal assault of police. Police used plastic bullet in courthouse.